Building an enterprise sales model is really hard. This is especially true for Founders with a technical background building a sales function for the first time. At AirTree, we often get Founders asking us how they can improve their sales performance and the answer always involves a deep dive into their sales funnel metrics. Depending on the stage of your startup, you’ll either have a VP Sales closely tracking these metrics or, at an earlier stage, you as a Founder should be tracking a basic version that can evolve as your business grows. Either way, you can only improve what you measure, and it’s never too early to identify areas for improvement in your sales process. 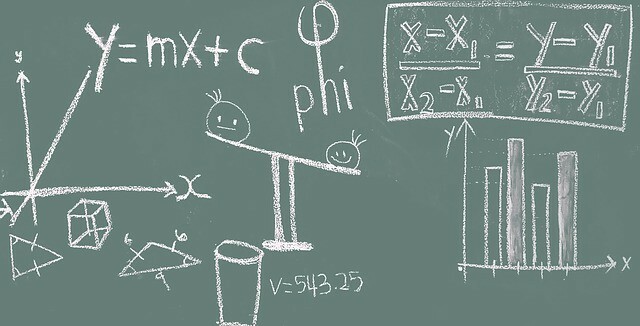 But which metrics really matter? At the top of the sales funnel, you need to be tracking the number of leads you’re receiving each month. These leads could come from many prospecting sources including those generated by the marketing team (e.g. email marketing campaigns, SEM, content marketing) and those generated by the sales team directly (e.g. outbound prospecting, sales run events). There should be close collaboration and alignment between sales and marketing to ensure the sales team is receiving enough leads to hit revenue goals. You should hold your marketing team responsible for a lead commit quota, often referred to as marketing qualified leads (MQLs), and your VP Sales should work with you and your marketing team to set this quota. Not taking responsibility for how lead generation and sales work together is a key mistake for any VP Sales. While it’s clear when an opportunity is closed won, it’s important to avoid ambiguity as to when leads should be converted to opportunities. Each company may have a different qualification framework for each stage of the sales process and the most important thing to solve for is consistency overtime and across the team. You don’t want one rep considering a lead converted to an opportunity once the buyer shows any interest in a meeting while another is waiting to satisfy the complete BANT (budget, authority, need, timing) framework. Whichever option you choose, if you have a higher threshold for lead to opportunity conversion, you would expect a higher opportunity to closed won conversion and vice versa. You should track how your sales velocity changes overtime and identify which of the 4 variables you can further optimise to improve sales performance. To increase sales velocity, you should focus on increasing the variables in the numerator (number of leads, deal value and conversion) and/or reducing your sales cycle. Sales cycle will naturally vary by deal value and customer type. Sales cycles will be longer for large deals into enterprise clients vs smaller deals into SMBs. Typically, the higher the deal value, the longer the sales cycle. It’s not uncommon to see 6 month sales cycles for $100k+ deal values and 2 week sales cycles for $1–2k deal values. You should be tracking the time from when a prospect first responds to a campaign, to when a quality opportunity is created and the time from opportunity creation to a closed won deal. Track any changes in your sales cycle over time to capture the impact of changes to your sales team, sales process, pricing or product. 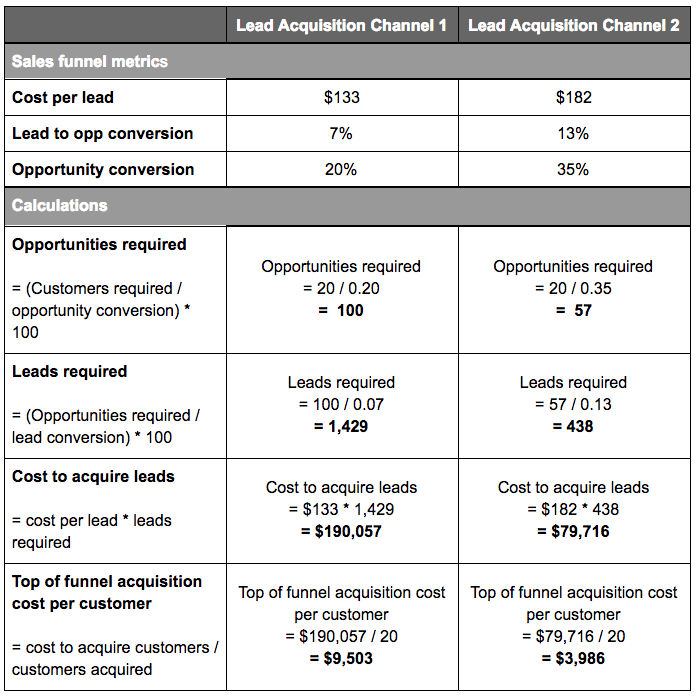 A Founder should use sales funnel metrics to understand how much to spend on top of the sales funnel customer acquisition and which acquisition channels to invest in. I’ve written previously about the importance of considering customer acquisition cost (CAC) and CAC payback when determining an appropriate go to market strategy. Importantly, you won’t know how much to spend on top of the funnel acquisition or which channels to invest in, unless you understand sales funnel metrics showing the relationship between leads, opportunities and ultimately customers.